The bodybuilding world was shocked recently with the loss one of its underrated stars and one of its founders. Nasser El Sonbaty passed away on March 20, 2013. It has been reported that he died in his sleep in Egypt. El Sonbaty did not fit the “dumbbell” stereotype that is often perpetuated in bodybuilding, but he was a graduate of the University of Augsburg with a degree in history, political science, and sociology. Perhaps it was this tremendous amount of knowledge that led to the belief that he was a messageboard legend named GH15, the name used by someone on the “inside” of bodybuilding and was not afraid to tell all of its secrets and give the truth on training and supplementation. I met Nasser one year at the Arnold Classic Fitness Expo in the late ’90’s and he certainly seemed to be fan friendly (sometimes you can tell a lot in a quick 2 minute meeting…for instance Vince Taylor was great, Lou Ferrigno, not so much). In 1997, many felt Nasser beat the champ Dorian Yates, but as many 2-5 contestants learn in the shows, it’s hard to beat the man on the top. I loved bodybuilding during this time and that was my “glory age” and Nasser was certainly no joke. I’m not going to speculate on what the cause of death was for him to die at 47 years of age, but I know what you’re thinking. But then I know that many people suddenly die for a myriad of reasons, so until I hear that drugs caused the early death, I think it’s best for all of us to reserve judgement. 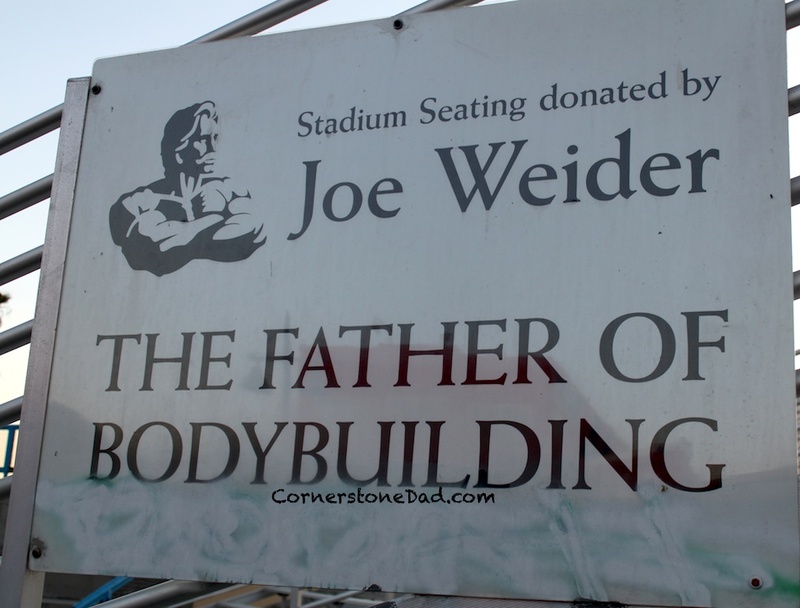 Then on March 23, 2013, Joe Weider died at 93. Perhaps Joe Weider is the man responsible for making it where we can all touch a dumbbell. Bodybuilding existed more as a subculture for many years, but Weider and his family took it to the masses with magazines, supplements, contests (e.g. Mr. Olympia) and of course, equipment. Everyone I know started with a Joe Weider bench when they first got introduced to weight training as a kid. I know I sure did and I’m sure I have some sort of Weider product in my house 20 years later. 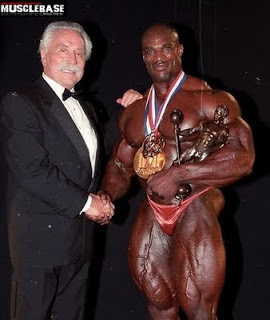 I shook the hand and had my picture taken with Ronnie Coleman as well before he became Mr. Olympia, but I don’t think he was as honored as he is in this shot with Joe. However, it must be said, that what made Joe’s success in bodybuilding also made him a sort of pariah. Just as baseball turned a blind-eye to drug use in its sport in order to drive attendance after the 1994 strike, it is said Joe Weider did the same thing as his “athletes” did more and more drugs in order to at least get into the money spots in his contests. You weren’t at the top of the game, until you won the Mr. Olympia. While other sports count rings, bodybuilding counts Sandows. Joe Weider was responsible for making that Sandow matter to the contestants and us fans. Many folks brought Air Jordan’s because they thought they’d play better basketball, they bought the baseball mitt because of their favorite baseball player, so can we really be mad at Joe for influencing people to use the supplements of their favorite “Weider athlete”? Yes, I know, Weider didn’t tell that his athletes were using all kinds of drugs to get into that shape, but NIKE didn’t come out and tell that Michael Jordan would’ve been Michael Jordan whether he wore their shoes or not. So in that case, I can’t hate the playa or the game. 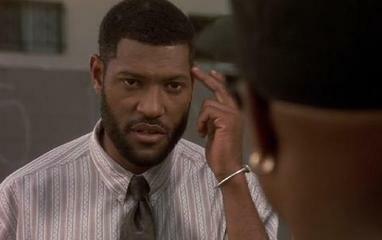 But I don’t care what anybody says, wearing a Kangol and Adidas are RPEs – “Rhyming Performance Enhancers”. Like everything involving weight training and nutrition, Weider had a habit of putting his label on everything, whether he earned it or not. Next CSD Dinner Table Topic: The Real Madness In March – When Players Step Off The Court, Should Colleges Step Up?